Happy December too, tis the season to be jolly…fra la la la la la la la la !! Lol okay, lets be serious. Lately I have been on the Nollywood scene, watching show after show and I have really found them interesting. Some were recommended and others, I just stumbled upon. Here are the 3 shows I’ve loved watching and are definitely worth watching. I discovered this show last year and I have watched every season almost 5 times. I kid you not! This show is produced by ndanitv on YouTube and I find it as one of the most interesting and funny web shows out there. It features a big girl, Tiwa, who (as I can certainly relate to) strives to get fit and also find love, and does this amidst jabs from her family members and other struggles. 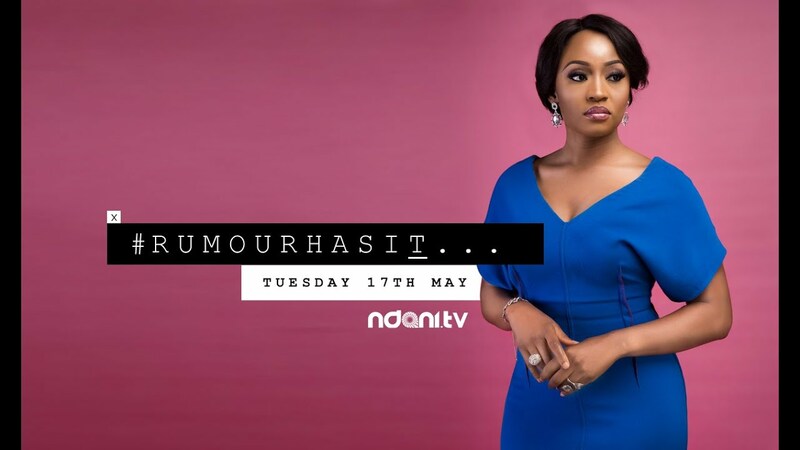 This is another show produced by ndanitv on YouTube, its about a celebrity Vlogger, Obi who’s known as the queen of internet gossip (hmm, could this be Lind…?? …never mind ) who’s made a lot of money from spreading rumors about celebrities, she also finds out that her husband isn’t all he seems to be..but let me not spoil it for you. So those are the three series I have currently watched.. I’m sure there’s so much more I have to explore, and I’ll give an updated post, if possible… recommendations needed too, If you know of a good series I have to watch! Have you watched any of these series? What were your favorites? Comment belowww!!! Previous Thanksgiving || THE 5 things I’m thankful for right now. Have seem just the first and second season of skiny girl in transit. Haha they are all interesting! Let me know if you like Rumor has it!